Bolton Station Community Development Partnership was established at the end of 2017 with the aim of developing Bolton station as a thriving community hub, for the benefit of passengers, staff and the wider community. The group are a totally voluntary organisation, working with the rail industry, Bolton Council, Bolton at Home, local schools, Transport for Greater Manchester and the wider community. Bolton Rail Users’ Group and Community Rail Lancashire are reciprocal members of the partnership. We are also members of the Association of Community Rail Partnerships and Bolton CVS. The biggest achievement so far was the hugely successful gala last June. But there’s much more to come, above all the bringing back to use of the currently disused and unloved spaces on platforms 4 and 5. The group already have use of the former ‘Guards’ Room’ on platform 5 for our activities, courtesy of Northern. A key change is the return of late-evening weekday services from both Victoria and Piccadilly, with the last trains from Victoria and Piccadilly to Bolton being put back much later, allowing people chance to have a night out in Manchester. Our friends (and partnership members) in Bolton Rail User Group have been pressing hard for these services and it’s great to see Bolton getting a decent evening service back. The Blackpool – Manchester Airport trains will be, at some time this year, be operated by the brand new class 331 electric trains, with the ‘Flex’ diesel/electric class 769 trains operating some services through Bolton, mainly the Wigan – Alderley Edge service. + To work with the rail industry, Bolton Council, Transport for Greater Manchester, educational and community partners to develop Bolton station as a community hub. 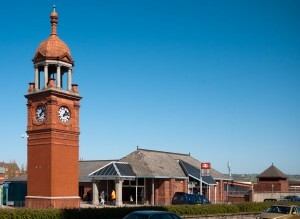 + To promote community-based events and activities at Bolton station and in the wider community in Bolton and district. + To promote community-based arts activity at and around Bolton station. + To organise events and other activities in the wider community which promote the benefits of rail travel. + To promote the railway heritage of the Bolton area.